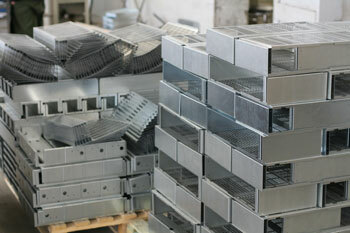 We work closely with our customers to simplify their sheet metal fabrication needs. With over 25 years EXPERIENCE specialising in long run manufacturing production and general fabrication under our belt we can show you the most economical solution for your requirements. Our investment in the latest TECHNOLOGY and automation guarantees our customers a precise product completed with high efficiency. This PRECISION allows us to drive down costs, provide quick turnaround times and all with minimal waste. As a proud local (Australian) fabricator/manufacturer we provide a high level of SERVICE and can discuss your requirements in person and in plain English. Our customers enjoy competitive pricing without the burden and expense of foreign currency risk, overseas freight and communication.